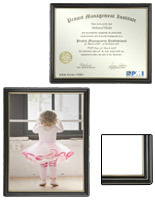 This Picture Frame is Featured in Black and is Perfect for Posters, Signs, and Photographs! 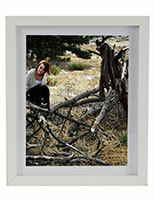 This Picture Frame can be Mounted on Any Wall! 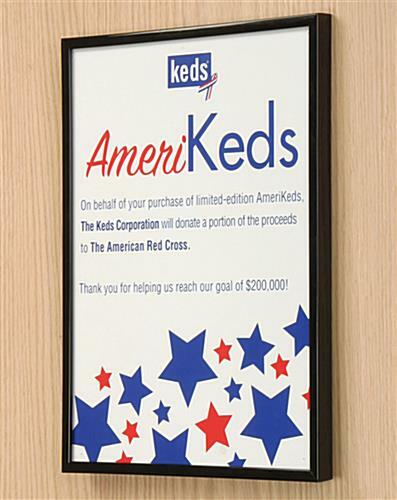 Buy Other Poster Frames Online, Thousands are For Sale! 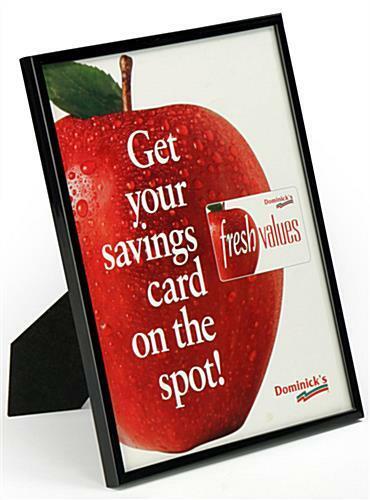 Picture Frame in Plastic Black Finish, 8-1/2" x 11"
This picture frame is an affordable way to showcase important business signs, advertisements, and graphics. 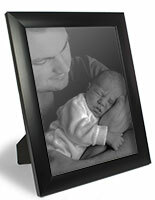 Made with a simple black look, this picture frame can easily fit into any business or office environment. 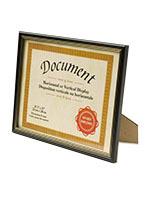 This picture frame is engineered to hold your 8-1/2" x 11" signs, pictures and documents. 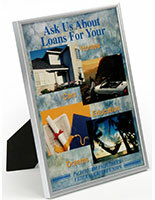 This plastic picture frame, also recognized as a sign holder, is satin black with a crystal clear glass lens. The frame looks and feels like metal extrusion, but incorporates lightweight and inexpensive characteristics of plastic. 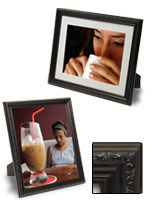 This picture frame can be mounted vertically or horizontally on your wall utilizing the mounting hooks that are pre-attached and a small nail (not included). 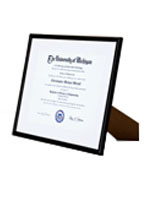 The picture frame can also be utilized as a counter top model due to the provided easel backing (see image below). 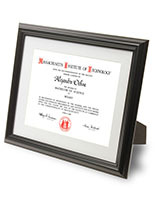 We supply this plastic picture frame with a 8-1/4" x 10-3/4" observable space. Please plan for an 1/8" border all the way around your 8-1/2" x 11" sign.